Happy 2011 and Top recipes of 2010. 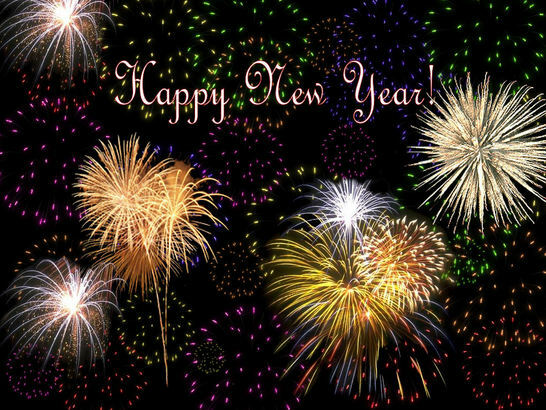 Wishing you and your family a very happy and a prosperous new year 2011! 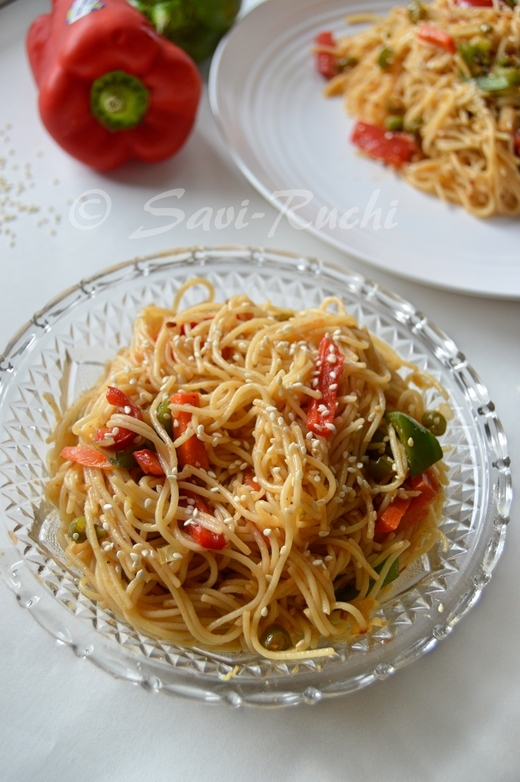 I thought I will compile the popular recipes of Savi-Ruchi in 2010. As it turns out, rasam recipes were a hit. I wonder what is the trend for 2011? Thanks for all the support and let's continue savoring good food, in the coming years. After a very long time, I am sending this to an event. They are off to Srivalli's "Best of 2010" event. 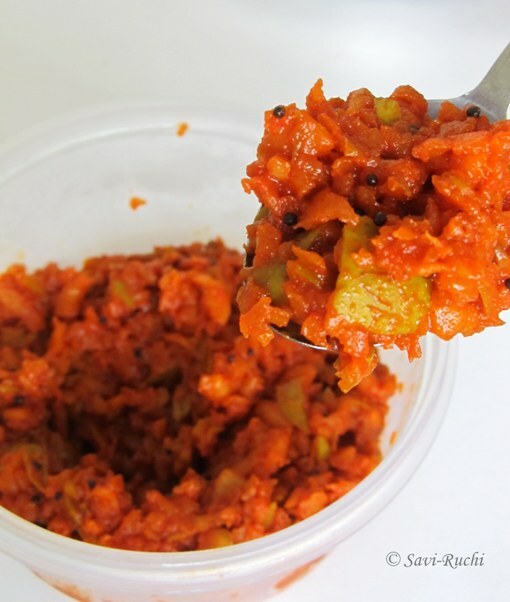 Another must try recipe for pickle lovers!! 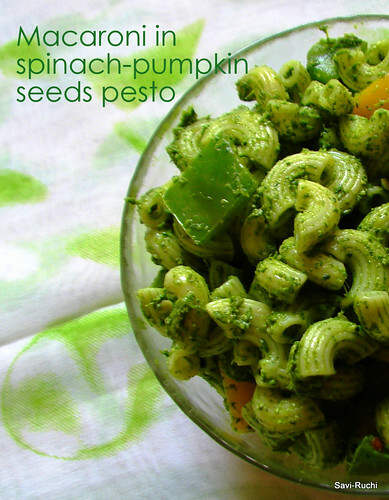 It is unbelievably tasty & very easy to prepare too. Many of my friends who tasted this pickle wanted me to re-prioritize my draft posts & requested me to put this first. Here it is for you guys!! Do prepare & let me know. Wash the apples & pat dry them. Ensure there is no moisture. De-seed the apple & chop them finely. Heat oil in a broad pan. When oil is hot, add mustard seeds. When seeds splutter, add fenugreek seeds & saute for 5-7secs. Add the turmeric, asafoetida. Saute. Throw in the chopped green apples & saute them on medium heat for 2-3 mins. Add the salt, chili powder. Mix well & saute again for 1-2mins. Turn off the heat. Add the vinegar & mix well. Allow the pickle to cool. I usually keep the pickle overnight covered. Scoop them out to a sterilized bottle & use as required. This is an instant pickle. You could use it immediately after the pickle is cooled. However, for the flavors to soak in, it is better to wait for 8hours. Apple should not be cooked for more than 5mins. The idea behind it is, apple should be half cooked & crunchy. I have stored this pickle for 1.5 months (without storing it in the fridge). My hubby these days searches the library & gets me interesting cookbooks every month. He got the book, Southern Spice from Chandra Padmanabhan few months ago. When I first saw kothamalli sadam recipe in the book, I was skeptical whether to cook it or not. It did not have the two things that I absolutely love, i.e. the sour ingredient, lemon juice & my adapted love.... coconut. Being married to a Udupi brahmin, I have imbibed coconut in my day-to-day cooking. One fine day I decided to cook it, just for my hubby's love towards coriander. I followed it to the tee & the end result is.., I have cooked it a dozen times already :D I also shared the recipe with my friends & all those who tried, have given a thumbs up to it. Wash the basmati rice thoroughly in water & drain the water. Let it soak for 20mins. Boil 5 cups of water in a broad vessel & when water starts boiling add rice & cook the rice on a medium flame until the rice is cooked. Allow it to cool. Fluff the rice & spread it on a large plate. Meantime, wash the coriander leaves & green chili. 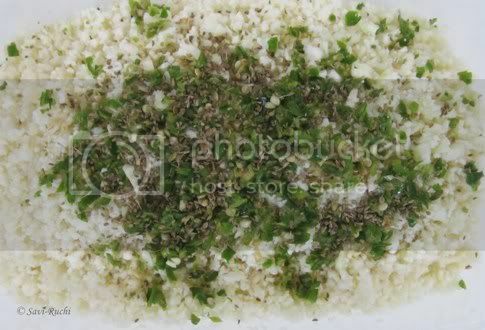 Make a smooth paste of coriander leaves, onion & green chilies (no need to add water, the moisture from the coriander leaves & onion is sufficient). Heat oil in a pan. When oil is hot, add mustard seeds followed by urad & channa dal.When dal turn golden brown, add cashews. When cashews turn golden,add the cooked vegetables, capsicum & saute for 1-2mins. Add the coriander paste & saute for another 1-2mins. Remove from heat. Scoop out the tempered coriander paste along with vegetables & pour it on the spread rice. Adjust salt. Mix well & serve it warm with a raita/dip of your choice. This is a North Karnataka specialty. A very healthy, low fat dish that goes well both with rice & rotis. When I prepared this, I was not very sure if my hubby would like this.But, he thoroughly enjoyed eating it. We not only exchange recipes, we exchange good food too. Last week I got a box full of piping hot stuffed mirchi bhajji (stuffed green chili fritters). It was amazing ! Now, back to today's dish. Wash the lentils thoroughly & keep them to boil in a large sauce pan (add around 2 cups of water to it). Add the oil, turmeric to the lentils & let them cook on a medium flame. Meantime, wash the eggplant, greens, tomato. Coarsely chop the greens, eggplant, tomato & onion.Crush the garlic & keep it aside. When the lentils are 3/4th cooked (press the lentil gently between your fingers. If lentils are soft to press then they are cooked), add the spinach, tomato, brinjal, onion & crushed garlic. Add another 2 or more cups of water. Cook for another 5-7mins on a medium flame till the vegetables are soft. Add the spice powder, tamarind paste, salt & cook for another 3-4mins. Turn off the heat & pass the cooked vegetables + lentils through a colander (Drain out the water). Preserve this drained stock to make a tasty rasam/soup. Immediately take out the veggies + lentils & mash them as much as possible (Remember to do this while the mixture is hot). Now you have 2 parts, mashed lentils + greens & drained stock. 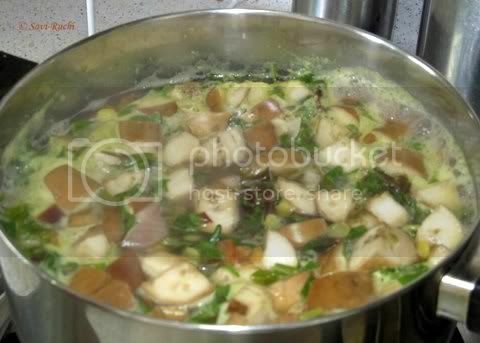 Using the drained stock, proceed to make the rasam. Adjust the seasoning to the stock. Prepare the tempering. Heat oil. Add the mustard seeds to the oil. When seeds splutter, add curry leaves, asafoetida & turn off the heat. Pour this tempering to the seasoned stock & mix well. Nutritious rasam is ready. Serve it hot with rice. Prepare the tempering. Heat oil. When oil is hot, add mustard seeds. When seeds splutter, add garlic & curry leaves. When garlic turns golden brown, add broken red chili & turn off the heat. Pour this tempering over the muddi palya. Mix well & serve it hot with rice or roti. If you are "no" to garlic & onion, you could omit it. I have made this without the garlic & onion. It tastes good either ways. 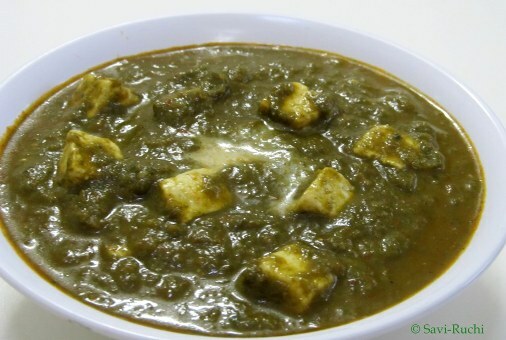 Many greens like amaranth leaves, methi (fenugreek leaves), sharp spinach, round spinach could be used to make this. It is very essential to mash the vegetables & lentils while they are still hot. No need to mash it in the blender. Just a rough mash using your masher should do the work. Also, take care not to make a paste out of it. Refer the picture to see how much to mash them. If the lentils are not properly cooked, this dish do not turn good. Hence cook the lentils well. Vegetarians need to keep a watch on their protein intake. Being vegetarian, we tend to ignore about this much needed nutrient. So, it is important to include protein rich food once a week to ensure that our body gets the much needed protein.One of my friend asked me for protein rich recipes. Here is my first step towards it. 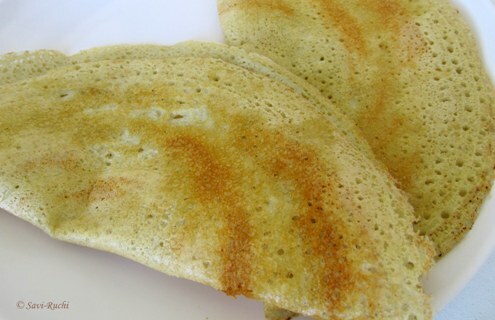 These crepes/dosas are also called adai. * I have not used the standard measuring cup for this recipe. For this recipe alone, 1 cup holds 100ml of water. I normally use standard cup(1 cup = 250ml water), here is an exception. 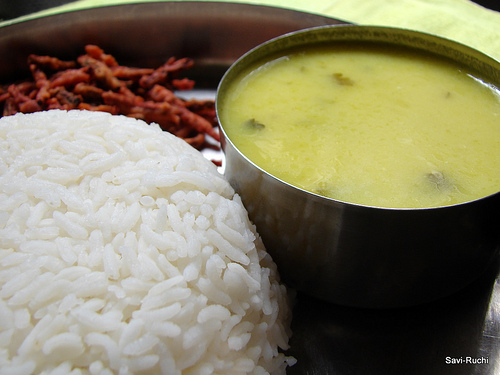 Wash the green gram, rice & urad dal together thoroughly. Drain the water. Soak the gram, rice, urad dal together for 4-5hours. Grind to a fine batter & adjust the consistency (should be like a thick milkshake). Allow it to ferment for 6-8hours. Heat a griddle. When griddle is hot, pour 2-3tbsp of dosa batter & spread the batter evenly to form a thin crepe (make as thin as possible). Sprinkle oil. 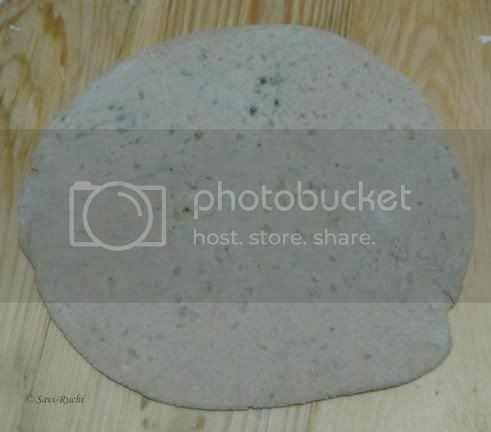 Cook the dosa on medium heat. Turn the dosa & cook on the other side too. 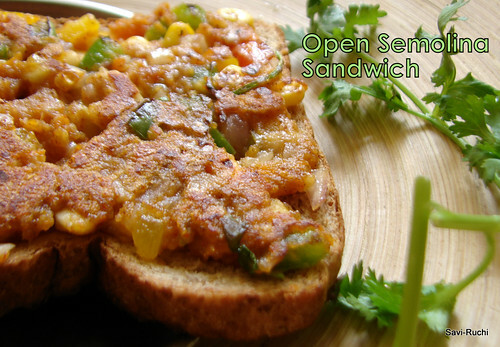 Serve it hot with a dip/chutney/curry of your choice. We prefer this dosa with ginger chutney. They both make a great combination. The dosa becomes a little hard after it is cooled. 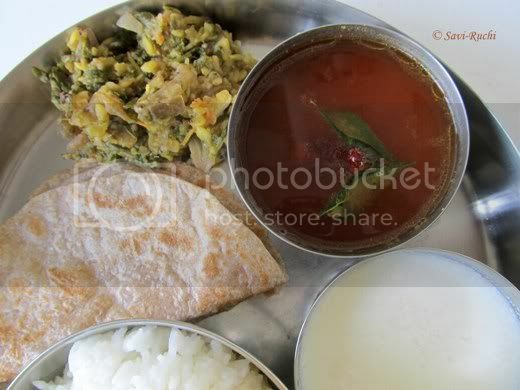 Hence, it is suggested to serve this dosa hot or atleast warm. These dosas are to be spread as thin as possible. Paratha is a whole wheat Indian bread. 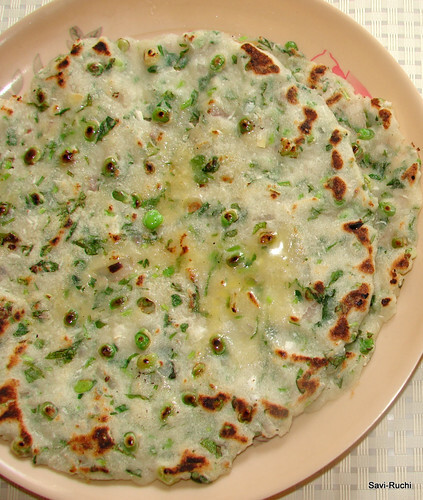 Stuffed parathas are very common in North Indian homes, especially Punjab, Haryana & Delhi. The most common vegetable stuffing being, boiled potatoes, cauliflower & raddish. 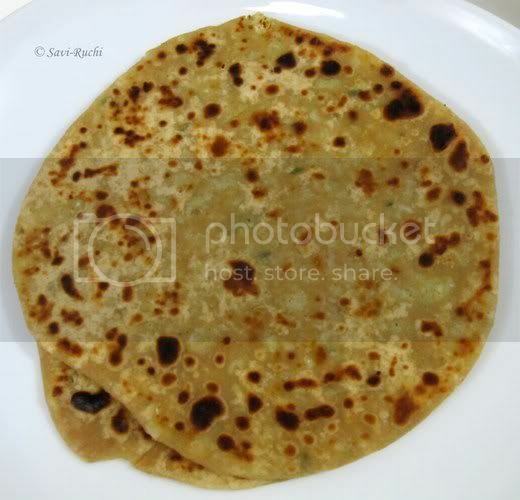 Indian cottage cheese/Paneer is also stuffed & popularly known as paneer paratha. 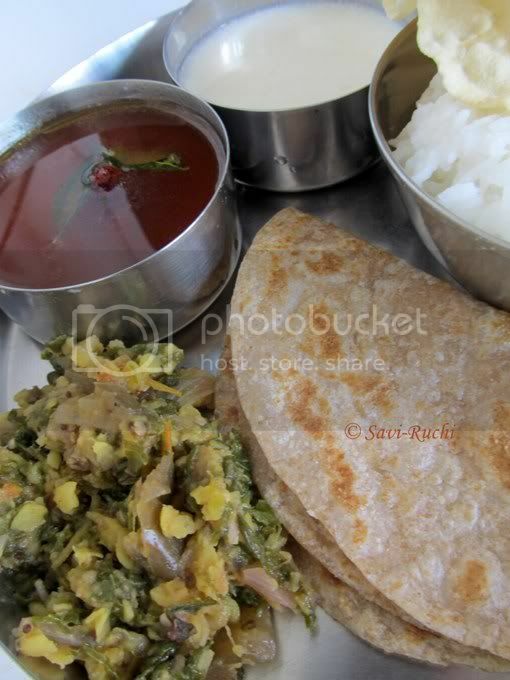 The stuffed parathas are generally served with a dollop of butter, yogurt/curd & pickle. 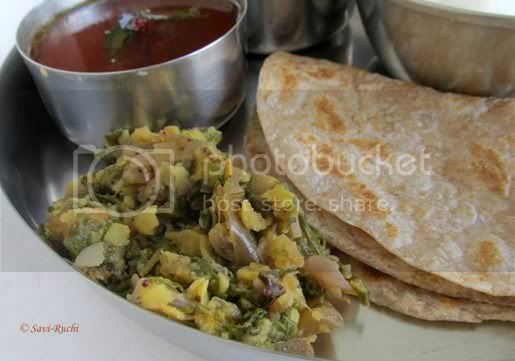 Parathas & a glass of juice are generally served for morning breakfast as it is a complete meal by itself. Cooking time: Approximately 90secs for each paratha. Add wheat flour, salt to a broad vessel. Mix them & make a well in the center. Pour the water, oil & mix the flour thoroughly until a smooth & stiff dough is formed. (Just like the normal roti/chapathi dough) Knead the dough for 2-3 mins. Cover the dough & allow it to rest for 30- 60mins. Shred the cauliflower. Add the finely chopped green chillies(or green chilli paste), carom seeds, salt, chaat masala & lemon juice. Mix it well & let it sit in the fridge for 30mins. This helps the cauliflower to absorb the flavors. During the resting period, the cauliflower would have oozed some water. Make a medium lime sized ball of the dough. 1 cup dough yields around 6 balls (roughly). Squeeze out the water from cauliflower mixture. Draining the mixture will not suffice. Fill your palm with the mixture, apply force & squeeze out as much water as possible. 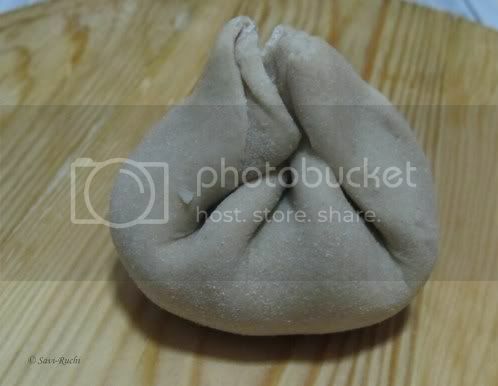 Roll the dough into a small 2.5 to 3 inch diameter circle. Put a tbsp of stuffing in the center of the rolled dough & close the ends as shown below. Repeat the above procedure for all the remaining balls. 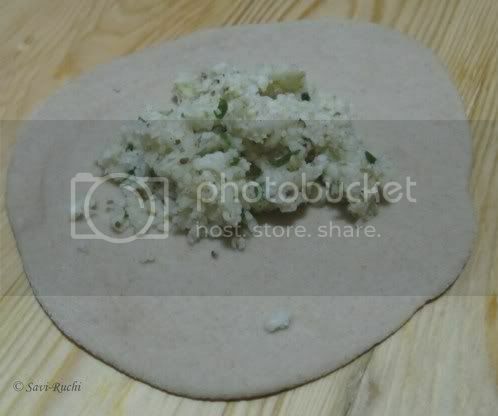 Take the stuffed balls, dip them in the dry wheat flour & roll them gently into 6inch diameter or 1/2 cm thick rotis. Meantime, heat the griddle. When griddle is hot, place the rolled paratha. 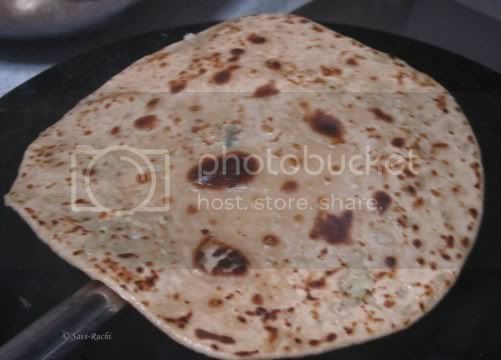 Pour oil/butter to the sides of the paratha & shallow fry on both sides. Ensure to cook the paratha on a medium high flame. Repeat the rolling & shallow frying for the remaining stuffed dough. 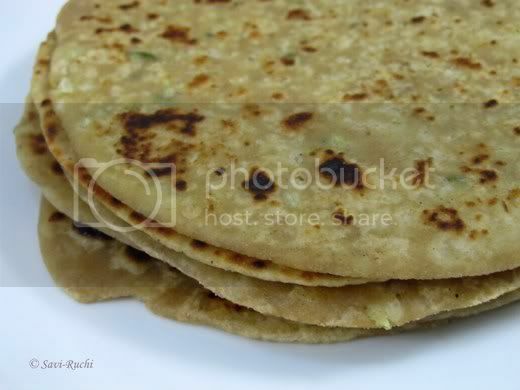 Smear the hot parathas with some more butter & serve them hot with pickle & yogurt. Try to keep the stuffing as dry as possible, else the stuffing will ooze out while rolling. Remember to cook the parathas on a medium high heat, otherwise the parathas turn hard. Some people are concerned about the raw stuffing inside. Dont worry, the stuffing inside will be cooked properly. Remember we have shred the cauliflower. Not only that, after rolling, it would have become a thin layer inside. For better taste, generously add ghee/butter while shallow frying.